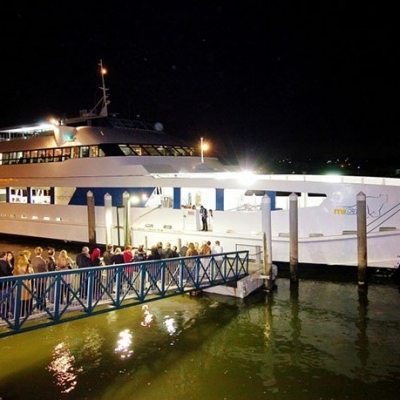 Get out your grass skirt or Hawaiian shirt and jump on board Micat for a tropical cruise up the Brisbane River. We are expecting a record turn out again this year with fantastic music, delicious food and of course loads of fun. 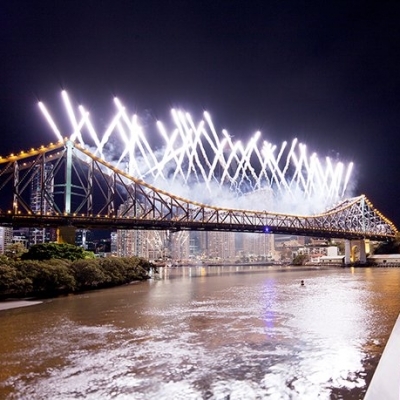 Premium vantage point for viewing the fireworks extravaganza next to the story Bridge! 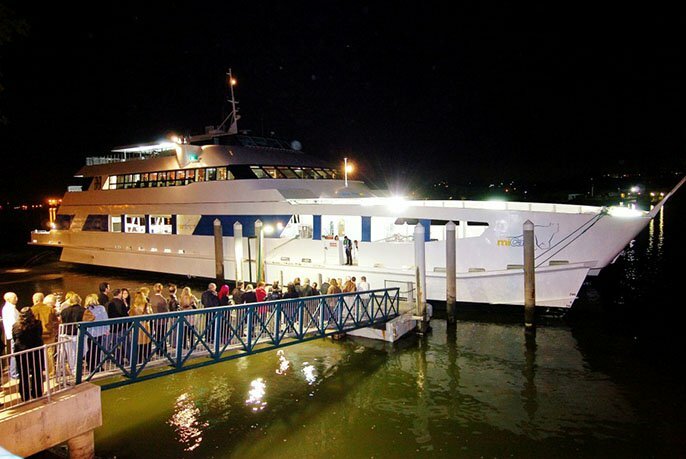 Group Bookings: For group bookings or enquiries call the MIA team on 07 3909 3333 or email events@moretonislandadventures.com.au. Tickets are $160 per person. We offer group discounts for 30+ guests! We also have a limited number of reserved tables – 10 seats for $1850. Please note this is an event for guests 18+ only. 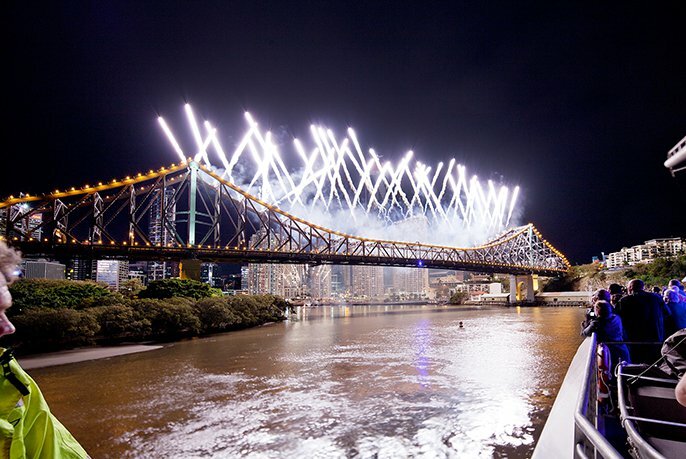 If you have have any further questions regarding Riverfire don’t hesitate to call the MIA team on 07 3909 3333. 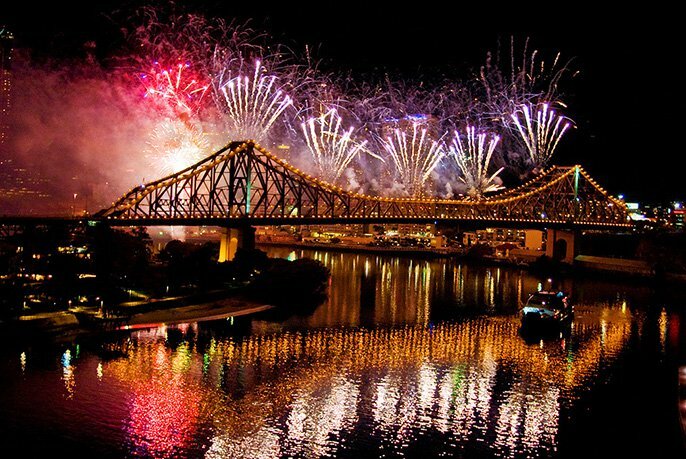 We look forward to seeing you at Brissie’s biggest firework extravaganza onboard the Micat! 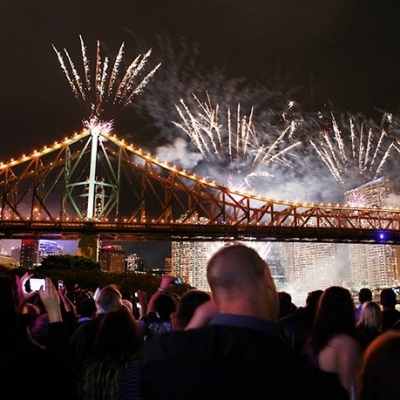 So jump aboard for the 2018 Riverfire event of the year and enjoy the best seats in the house for the night Brisbane’s skies light up! 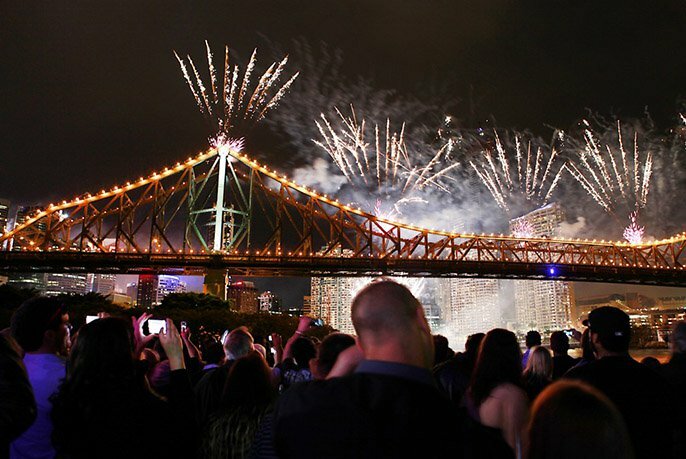 Want to spend Riverfire with us? Click here to view prices and availability via our secure online portal.